This application note shows one possibility to extend the impedance measurement range of the Bode 100 with a high impedance bridge. 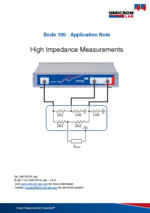 This application note shows a possibility to extend the impedance measurement range of the Bode 100 with a high impedance bridge. Note: If the DUT is not grounded, we recommend to use the Series-Thru method that is implemented with BAS 3.X. Due to the internal 50 Ω source resistor the Bode 100 is suitable to measure impedance values very accurate close to 50 Ω. 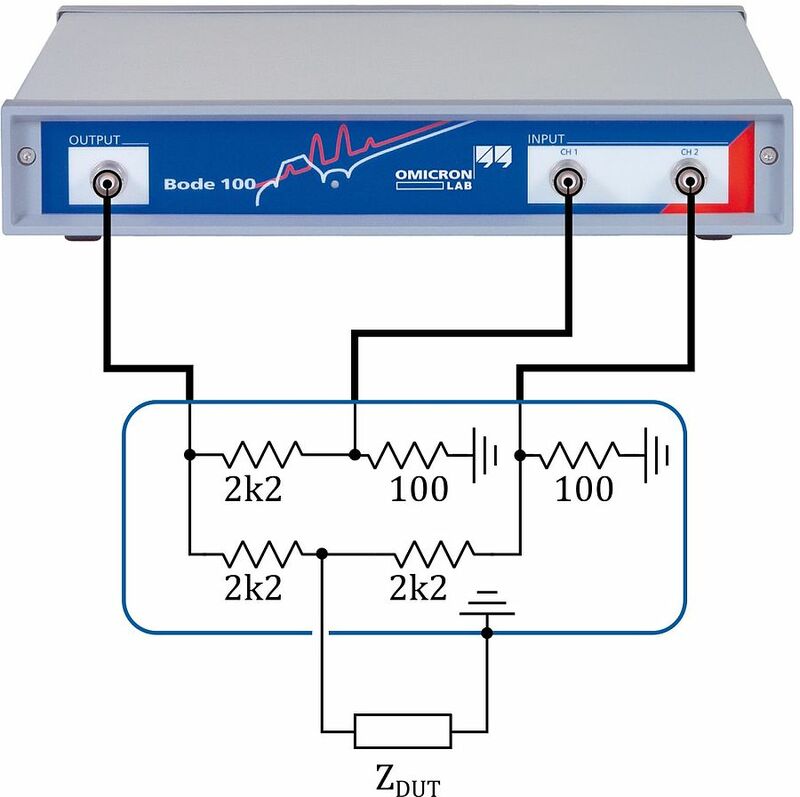 With a simple external bridge the Bode 100 can also be used to measure impedance values up to several MΩs. 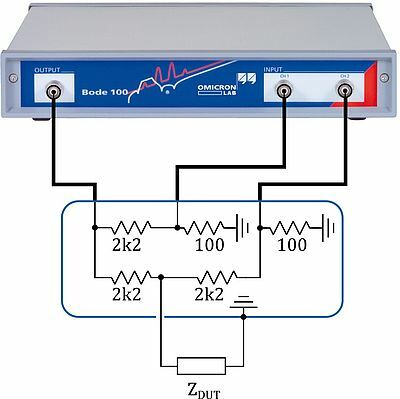 This high impedance bridge is especially suitable to perform measurements on piezo elements since the high impedance of the bridge protects the Bode 100 signal source from backward energy pulses from the DUT.